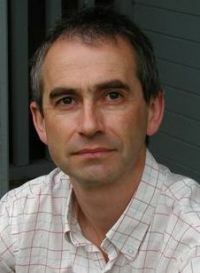 Oliver Bakewell is Co-Director of the International Migration Institute and a James Martin Fellow. Research focus: Oliver’s research interests include migration, diasporas and global development; social theory and migration; ‘forced’ versus ‘voluntary’ migration; African migration; borderlands; identity papers; migration discourses; Zambia; and Angola. Background: Oliver Bakewell holds a PhD and MSc in Development Studies from the University of Bath and a BA in Mathematics from the University of Cambridge. He has spent many years working with migrants and refugees both as a researcher and as a practitioner with a range of development and humanitarian NGOs. Prior to joining IMI, he was the Senior Researcher at INTRAC – the International NGO Training and Research Centre. * leading research into the formation of African diasporas within the African continent as part of the Oxford Diasporas Programme. * involved in research related to the MacArthur-funded African Perspectives on Human Mobility project. * undertaking ongoing research into the changing patterns of cross-border movements between Angola and western Zambia from the mid 1990s to today.